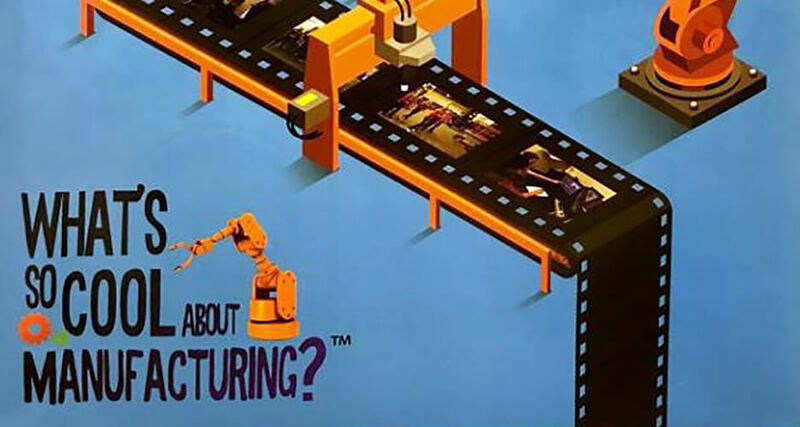 PENNSYLVANIA MFG DAY EVENTS INCLUDE WHAT'S SO COOL VIDEO CONTEST KICKOFFS | What's So Cool About Manufacturing? Several Pennsylvania What’s So Cool About Manufacturing? student video contests opened this week in conjunction with the national Manufacturing Day 2017 and Pennsylvania Manufacturing Week events. Produced by the National Association of Manufacturers (NAM), MFG DAY events have been held since 2012 to improve public perceptions about manufacturing and inspire young people to explore advanced manufacturing careers. Many events involve visits and tours of manufacturing plants for students, educators, business leaders, news media professionals, and elected officials. The Pennsylvania Department of Community and Economic Development (DCED) has held its Manufacturing Week events to coincide with MFG DAY since 2015. Teacher coach training sessions and preview events were held throughout the week to launch Pennsylvania’s 12 regional What’s So Cool About Manufacturing? contests for 2018. Created in 2013 by the Manufacturers Resource Center (MRC) in Allentown, PA, the contests excite students to explore advanced manufacturing careers and produce profiles of companies throughout Pennsylvania. The student teams and their teacher coaches receive camera equipment, software, and professional guidance as they learn to script, record, and edit their video stories. Judges in each regional contest bestow a variety of awards, and each contest features an online vote at WhatsSoCool.org for its Viewers Choice Award. The three affiliated contests in the Pittsburgh area, presented by Catalyst Connection in Pittsburgh, are titled Explore the New Manufacturing. The Berks Schuylkill contest – presented by Manufacturers Resource Center: Vote Feb. 28-March 2. The Central PA contest – presented by the PA Manufacturing Extension Partnership in Williamsport, PA: Vote March 21-23. The Chester Delaware contest – presented by the Manufacturing Alliance of Chester and Delaware Counties in Exton, PA: Vote Feb. 14-16. The flagship Lehigh Valley contest – presented by Manufacturers Resource Center: Vote Feb. 21-23. The North Central PA contest – presented by Workforce Solutions for North Central PA in Kersey, PA: Vote March 5-7. The Northeast PA contest – presented by the Northeastern Pennsylvania Industrial Resource Center in Hanover Township, PA: Vote March 19-21. The Northwest PA contest – presented by the Northwestern Pennsylvania Industrial Resource Center in Erie, PA: Vote Feb. 26-28. The Philadelphia contest – presented by the Manufacturing Alliance of Philadelphia: Vote March 7-9. The Pittsburgh Central contest – presented by the Catalyst Connection: Vote Feb. 12-16. The Pittsburgh East contest – presented by the Catalyst Connection: Vote March 12-16. The Pittsburgh South contest – presented by the Catalyst Connection: Vote March 26-30. The South Central PA contest – presented by MANTEC in York, PA: Vote Feb. 7-9. This year’s contests will involve students from 39 of Pennsylvania’s 67 counties – a combined area that represents more than 9 million of the state’s 12.7 million residents. Contests are supported regionally by their sponsors and partners. Production support is provided for several contests by PBS39 Lehigh Valley in Bethlehem, PA. 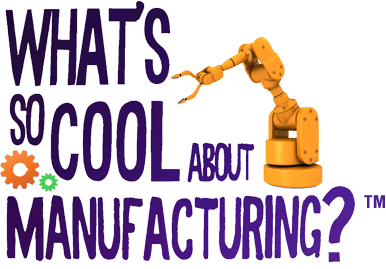 The What’s So Cool About Manufacturing? contest format also has been adopted by groups in 11 additional states.